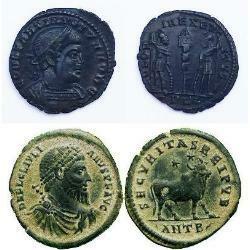 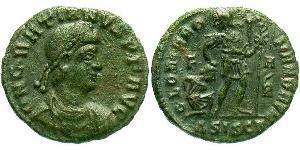 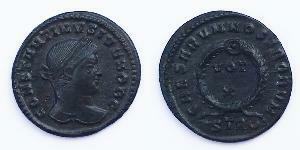 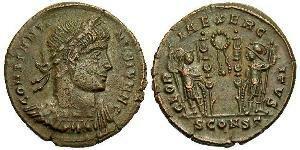 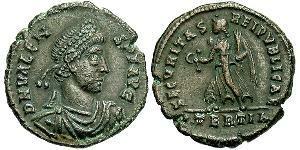 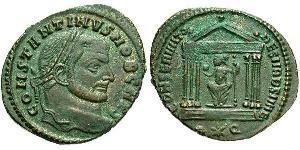 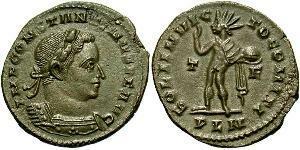 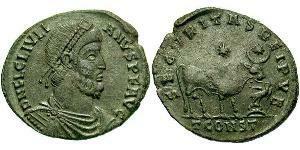 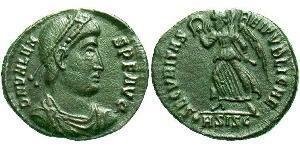 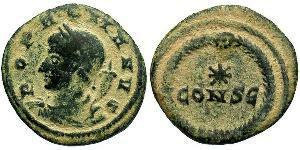 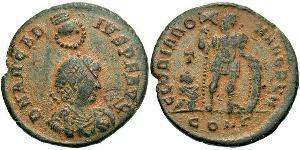 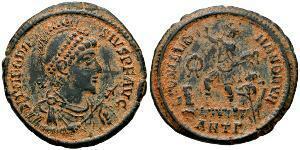 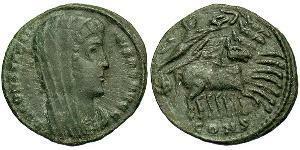 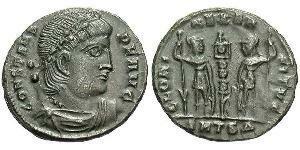 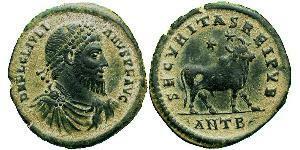 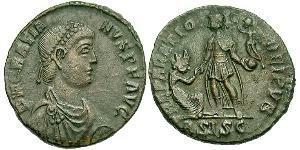 The Roman follis was a large bronze coin introduced in about 294 with the coinage reform of Diocletian. 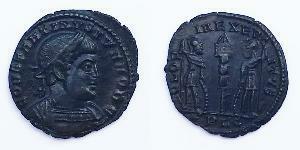 It weighed about 10 grams and was about 4% silver, mostly as a thin layer on the surface. 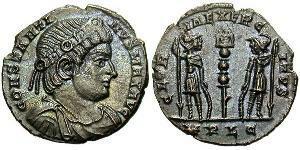 The word follis means bag (usually made of leather) in Latin, and there is evidence that this term was used in antiquity for a sealed bag containing a specific amount of coins. 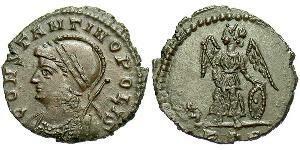 It is also possible that the coin was named Follis because of the ancient Greek word "φολίς" meaning a thin layer of metal which covers the surface of various objects, since originally, this coin had a thin layer of silver on top. 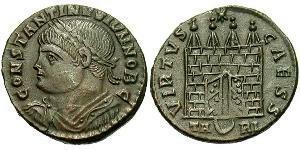 By the time of Constantine, the follis was smaller and barely contained any silver. 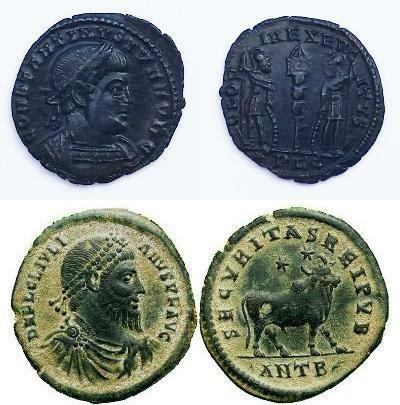 A series of Constantinian bronzes was introduced in the mid-4th century, although the specific denominations are unclear and debated by historians and numismatists. 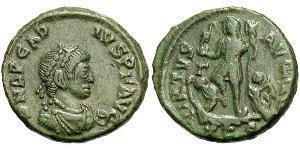 They are referred to as AE1, AE2, AE3 and AE4, with the former being the largest (near 27 mm) and the latter the smallest (averaging 15 mm) in diameter.